Replacing old concrete can be one of the most cost-intensive, inconvenient, and disruptive maintenance activities a homeowner can undertake. Did you know that in the vast majority of cases concrete replacement is completely unnecessary? Most of the time, a homeowner begins considering replacement due to concrete surfaces on the property beginning to crack, chip away, or look dirty—and no amount of pressure washing seems to do the trick. This problem is especially prominent in Phoenix, on account of our extreme temperatures. The summers are blazingly hot, and the winters often get quite cold. These temperature fluctuations can and will wreak havoc on concrete given enough time. Concrete resurfacing is the process by which a thin-yet-durable overlay is poured over a homeowner’s currently existing concrete. This cement-based compound has a bonding agent that seamlessly grips it to the worn out concrete underneath. These Concrete coatings are also “self leveling,” which means that they don’t have to be perfectly smoothed out like actual concrete does. The compound levels itself after application, reducing the amount of time necessary to apply even further. The compounds in a concrete coating are generally designed to be incredibly durable and stain-resistant. We say “generally” here because just like any other product on the market there are sub-par imitators, which is why your best bet is going with the recommendation of a professional (like us!). 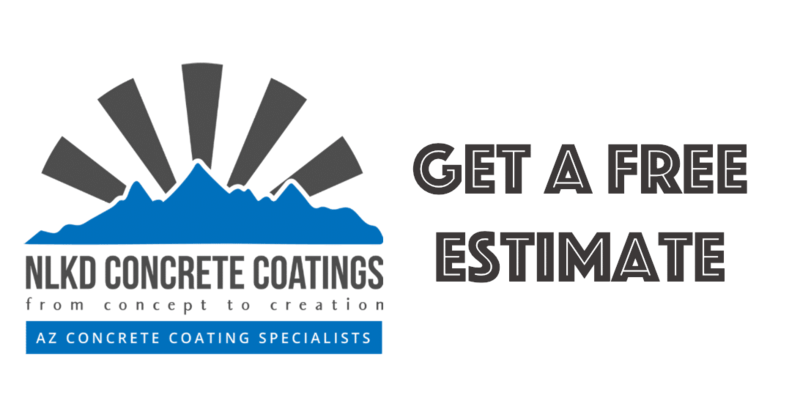 The right concrete coating can make your driveway, sidewalk, or patio look completely new… without the cost of actual concrete replacement. In addition to the functionality of the coating, Arizona homeowners should also consider how they want their concrete to look. In the majority of cases, the functional benefits of the compound (e.g., durability and strength) aren’t impacted by the look of the finish—meaning that homeowners can have just about any look they want. Concrete coatings open up a whole new world of design aesthetics for homeowners. A variety of different looks are available, including patterns or textures like sandstone, granite, Spanish tile, marble, or just about any solid color you can imagine. This, as you might guess, has inspired more than a few Phoenix homeowners to get extremely creative. 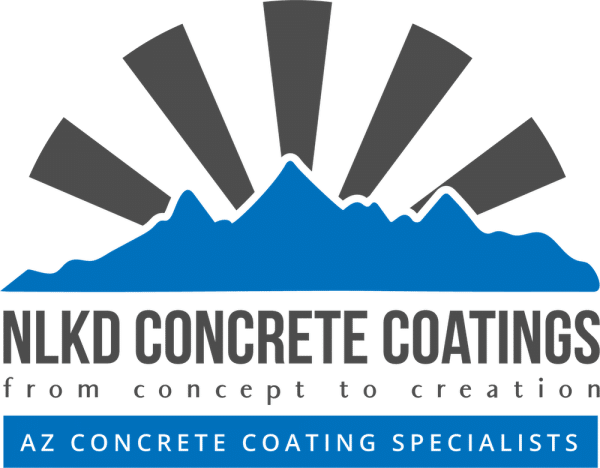 If you’re interested in learning more about our concrete resurfacing services, please feel welcomed and encouraged to contact NLKD Concrete Coatings today by calling 602-561-7532. A professional would be more than happy to answer all of your questions and get your project started. We provide service in Valley Wide –including Avondale, Glendale, Surprise, Peoria, and the Phoenix metro are.